I was fortunate enough to find a copy of Jennell’s D&D module. 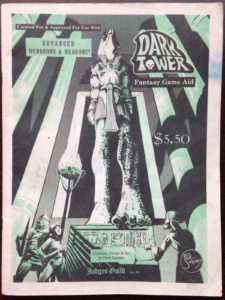 “Dark Tower” on eBay, and brought it along to our interview at Olde Sküül. She graciously consented to autograph her work. 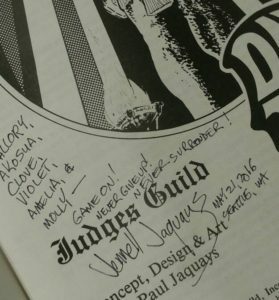 The inscription is for the members of a D&D campaign lead by my co-producer Mallory.